The Dr. Walter Chestnut Library is a two-storey Romanesque Revival style building, constructed in 1912 by the Government of Canada. It is the most distinctive building located on the west side of Main Street in Hartland. 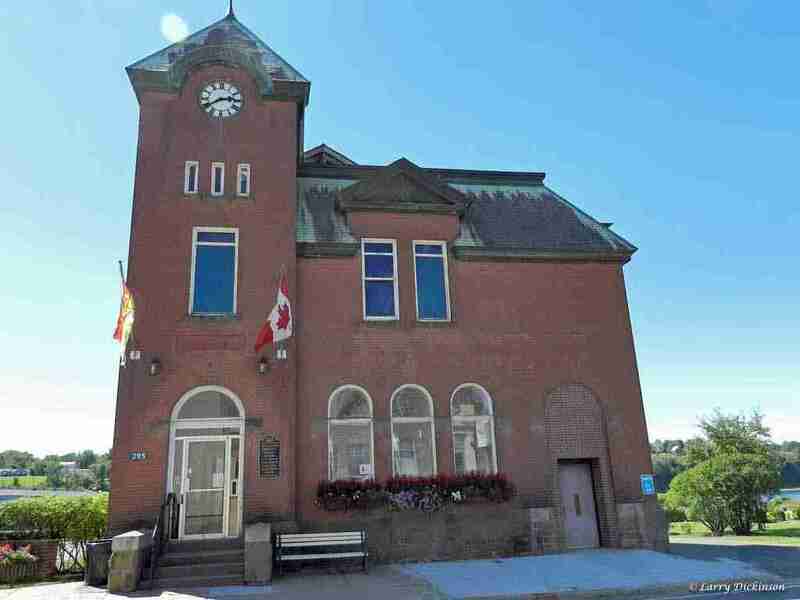 It is in the centre of the municipality adjacent to the Saint John River and has scenic sightlines to two historic bridges. The Dr. Walter Chestnut Library, formerly the Hartland Post Office, is designated a Local Historic Place for its architectural qualities typical of the era and for the purpose it has continued to serve in the community. 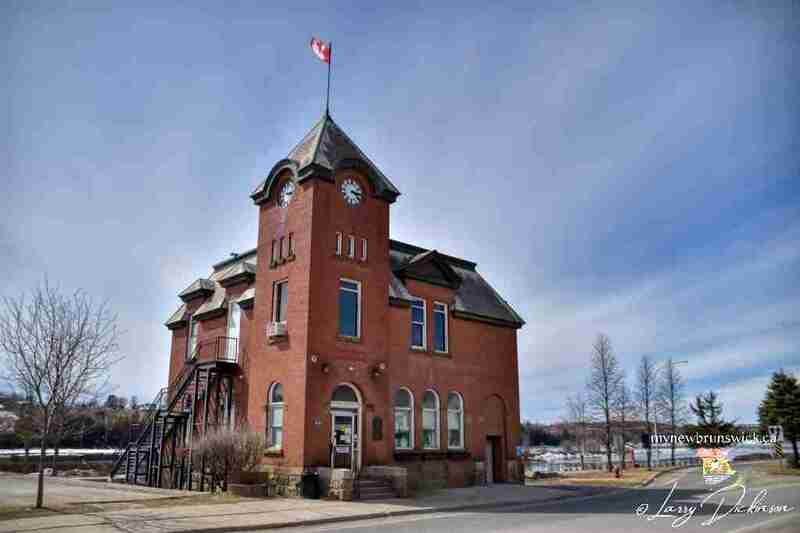 The building was constructed in 1912 by the Government of Canada as part of their effort to make their presence known in small municipalities. Around the turn of the 20th century, Thomas Fuller, a chief architect employed by the Department of Public Works, influenced a massive construction project of post offices across Canada. The former Hartland Post Office was part of this initiative. It has thick brick walls with rough-faced square stonework details, a large tower and decorative arcading, all bold characteristics that the federal government used to create an impression of strong, timeless authority. The building also had a military component as a training centre and is thus significantly associated with the military history of New Brunswick. This microscope was owned and used by Dr. Walter O. Chestnut. Walter Oswald Chestnut was born in Sussex in 1900, the son of James Chestnut of Sussex and Clara Price of Havelock. Walter O. Chestnut received an early education in Sussex and at the age of sixteen, he attended the University of Alberta to study pre-medicine. He then attended McGill University, receiving an honours in medicine and surgery, and interned in Saint John. In 1924, Chestnut established a medical practice in Hartland where he worked for sixty-two years. Chestnut was involved with the local school board for thirty years as both a member and chairman. Walter O. Chestnut married, in 1935, Nina Frances Vaness, daughter of Frances Vaness and Samuel Vaness of Benton. Walter O. Chestnut died in 1987 and is buried at Greenwood Cemetery in Hartland. This post has already been read 557 times!